Eeep! I'm officially on my way to Texas today! My to do's (other than finding out Baby H's gender!) include: Tex Mex....Tito's....BBQ....Country music....Wear my cowboy boots as much as possible....Crawfish....Tex Mex....repeat. Good food is clearly not a priority for this girl. I will miss my boys while I'm gone (Billy sadly isn't able to go due to his new job and mandatory meetings during this time), but I'm excited for warmer weather, to create new memories with my long lost sister, and to get back to this awesome state! Be back next Tuesday! See you soon, Houston!! Give Steph and baby H a big old hug and kiss from me! And have the best weekend ever! you're going to have so much fun!! yay! Hope you have an AMAZING trip!!!! So excited/jealous! I miss my state so much! Have a ball and maybe an extra shot of Titos for me! The way I read that last part I thought you *weren't* actually going to Instagram a lot, and I was NOOO don't do that to us! Glad to see you plan to do just that :) Can't wait to see pics of the big gender reveal party! Have fun! 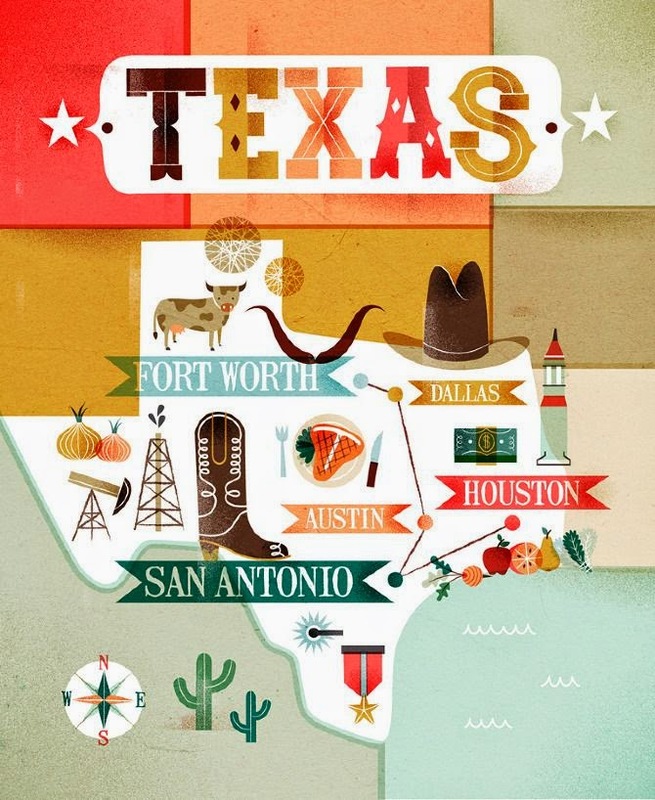 And what an adorable Texas print! Have fun!! I can't wait to see y'all's pics! Have a fun & safe trip!! !